The Kansas City Council has unanimously passed an anti-harassment law banning harassment of pedestrians, cyclists, and disabled pedestrians, as well as other threatening and intimidating actions such as throwing things or placing people under threat of physical danger. 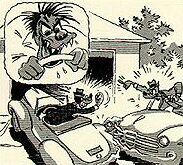 Road rage . . .
Congratulations to BikeWalkKC and other allied organizations who have worked hard to pass this law. Read BikeWalkKC's summary of the new law here. Kansas City becomes the fifth Missouri city to pass an anti-harassment law--including three of the four largest cities in the state. Language of the Kansas City ordinance as finally adopted is here. The city council on Thursday unanimously passed a street harassment law, making the city among four in the state with such laws. Advocates say they are needed to support a national increase in walking and bicycling. The Kansas City law is aimed at protecting bikers, pedestrians, people in wheelchairs, blind people and guide dogs. Because of free speech rights, it cannot prevent lewd comments but forbids many other things: honking or directing loud noises, throwing things, driving at victims or other conduct that creates a risk of serious physical injury. Violators could face from $50 to $500 in fines and up to six months in jail. . . .
A statewide anti-harassment law is near the top of MoBikeFed's legislative platform for 2015. But getting a statewide law passed will be a difficult uphill battle. The more Missouri cities that have passed and had a successful experience with an anti-harassment ordinance, the easier it will be to pass at the statewide level. So we are encouraging Missourians across the state, and organizations that support bicycling and walking, to look at our list of sample anti-harassment ordinances in Missouri and across the nation, and encourage your city to pass its own anti-harassment ordinance. Experience in Missouri's cities that have the ordinances is that they are effective in changing motorist behavior for the better. 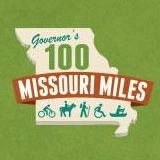 Working for better, safer bicycling, walking, and trails across Missouri is an important part of MoBikeFed's Vision for Bicycling and Walking in Missouri. Helping develop model language for anti-harassment ordinances in Missouri and help to support and coordinate statewide work on anti-harassment ordinance is one of our current top priorities. Your membership and generous financial support helps make our Vision into reality! Anti-harassment laws for bicyclists and pedestrians - how about passing one in YOUR community?